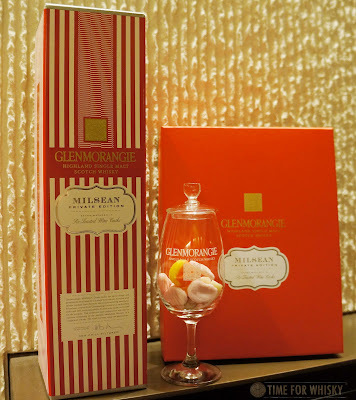 As mentioned back in March, Glenmorangie's Milsean recently launched in Australia, and we're now pleased to say it's also launched in Hong Kong. 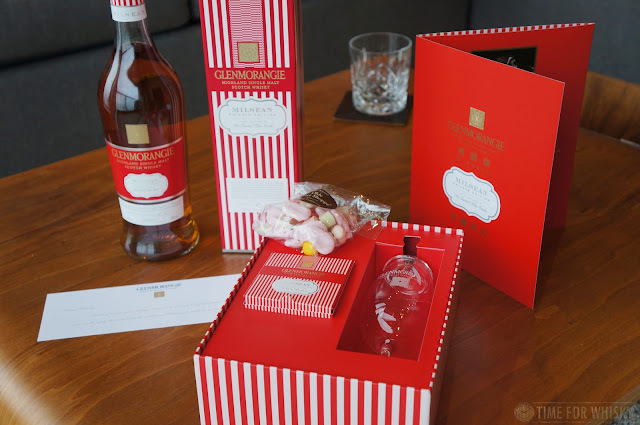 MHDHK were kind enough to send us this lovely gift pack recently, so we could bring you our thoughts on the latest Private Edition. As with some previous Private Editions (including 2015's Tùsail and 2014's Companta, but unlike 2013's 19 year old Ealanta) the Milsean carries no age statement. What it does carry, though, is Dr Bill's signature of experimentation - this time in the form of finishing in re-toasted Portuguese red wine casks, from Portugal's Duoro Valley. Nose: Sherbert, candied orange peel, jelly babies (red ones) and Redskins. Yep, it's sweet alright. Palate: Fruity, spicy and sweet, all at once. Citrus fruits, hints of ginger and Szechuan, and loads of confectionary sweetness. 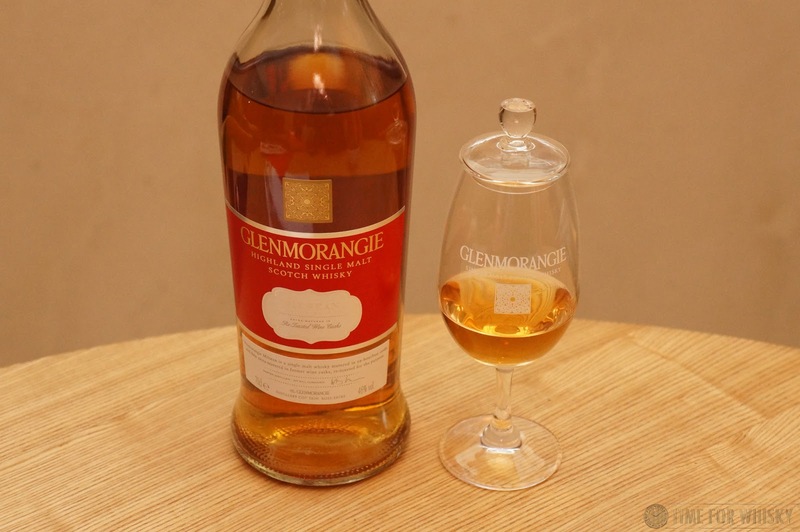 It's unmistakably a Glenmorangie, but adds Asian spices, Saffron, candied ginger, raisins, nectarines and rum-soaked pears as time goes on. There's a fair bit going on, but the underlying theme is definitely "sweet". Finish: Medium to long length, with a tongue-tickling sherbert-like end to what is a sweet and enjoyable experience. Rating (on my very non-scientific scale): 90/100. This one definitely sits in the "dessert whisky" category. TimeforWhisky.com would like to thank MHDHK and Why Not? Asia PR for the Milsean gift package. Glenmorangie Milsean is available in Hong Kong at city’super, Rare and Fine Wine, Brix Wine Cellar and Lillion Wine, and currently purchasers will receive a complimentary 75g box of candies from Mr Simms Olde Sweet Shoppe when buying a bottle.